The competition for Tel Aviv burgers is pretty fierce. When the 3AM munchies kick in after a night drinking we tend to opt for the obvious Ad HaEtzem or Wolfnights. These well known burger joints, along with the amazing Vitrina, whilst fully deserving of their popularity, are boring. We all know them. We’ve all been there. 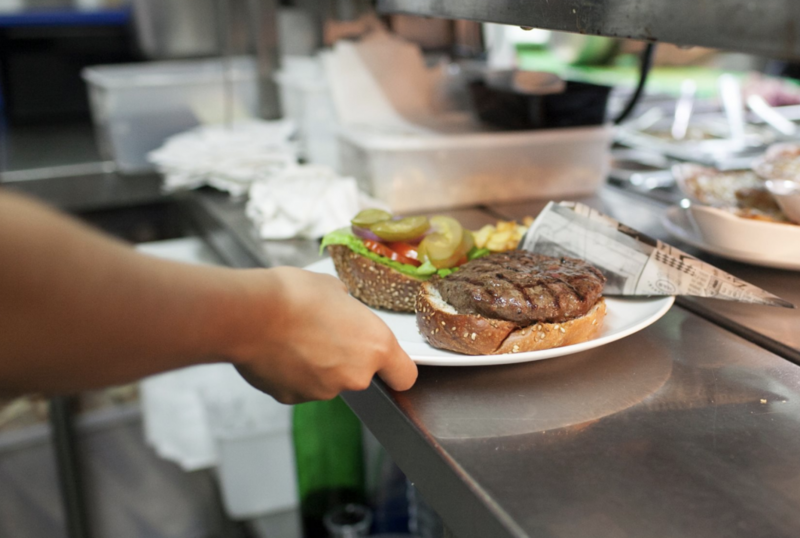 So, we’d much rather let you in on a few gourmet burgers that you might not have tried yet! 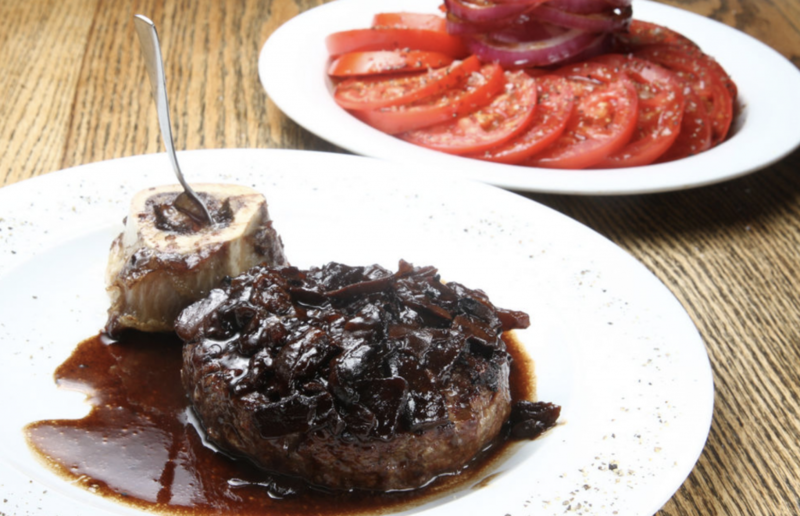 All meat lovers know that Meat Bar is the place to go if you are after a top-notch steak. When it comes to burgers this place would likely not come to mind- alas, that’s a mistake! This burger is made from high quality beef which has been aged for 3 weeks before being served. This means of preparation gives it a really robust flavour. We recommend ordering the burger with an extra of the crispy onions. Although Seatara is better known for its sushi, the burger they serve is not far from perfect. The bun is super soft and perfectly toasted. The burger is juicy and succulent, and that aioli chipotle tops it all off. 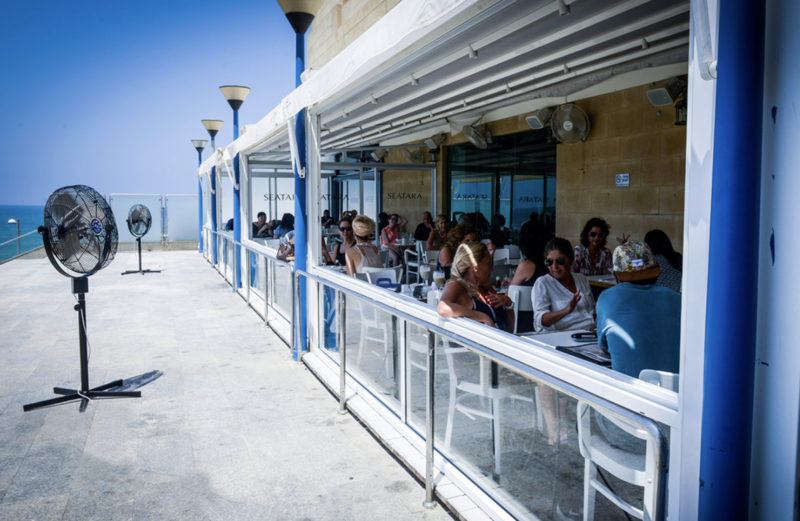 A big delicious burger with a sea view- what more could you want? As you might know, we are huge fans of the R2M group, so it’s no surprise that one of their establishments slipped into the list. Brasserie has quite the reputation for its burger, and yes, it most certainly deserves it. We strongly recommend adding Gouda cheese to this classic burger, and don’t forget to order a side of french fries- crispy, skinny and our favourite in Tel Aviv! Oh, and the best bit? They are open 24hours! And they deliver! Eyal Shani and his team serve a seriously impressive hamburger at North Abraxas. A mere 100g of juicy rump patty served in a perfectly baked brioche bun topped with all sorts of wonderful sauces and veggies spilling all over the place! The great thing about this burger is that it is small, so you can enjoy it without having to commit to it. 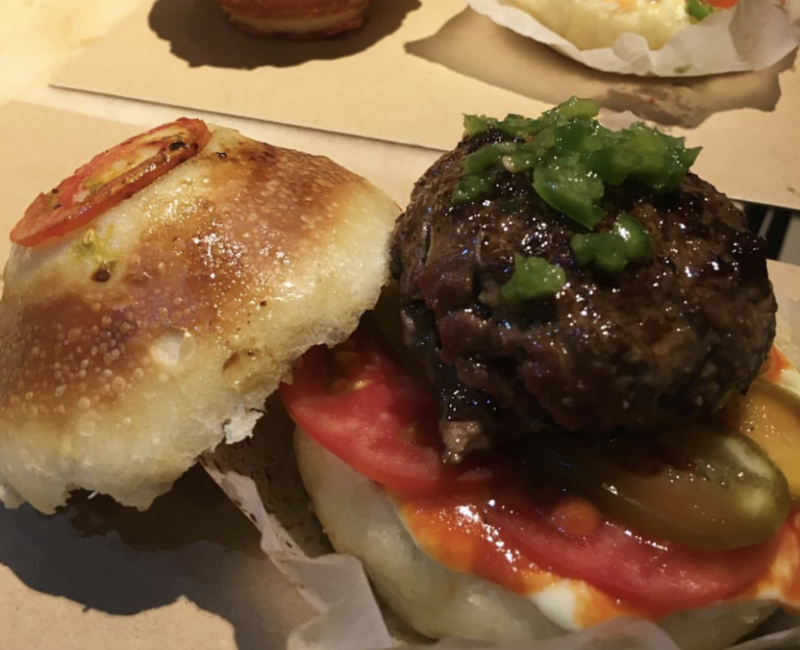 On our quest for Tel Aviv’s best burgers, we happily stumbled across the menu at Carnebirra in Little Italy, Sarona, and noticed their good looking burger. This one is a winner. The tender burger meat is really good and red on the inside, and topped with arugula, basil, and roasted onions- a nice change from the usual veggies. As always, we love to hear your feedback, so let us know what you think on the comment box below.